The Terminator saga continues to swagger through pop culture, like an indestructible time-traveling robot. 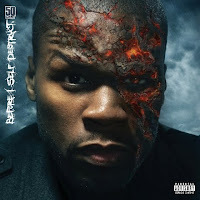 Here's the new CD cover for Before I Self Destruct by 50 Cent. What do you think: Is he a better Terminator than Summer Glau?